Today on the podcast, Amber chats with Cali Gibbs. Cali was one of Amber's “Ditch The Diet” coaching clients who completed the 12-week program. Today Cali’s sharing her story about how she lost weight, boosted her confidence and re-gained control of her life through the help of Amber. Cali gives some advice and encouragement to women who are thinking about joining Amber's program but just aren’t sure where to begin. 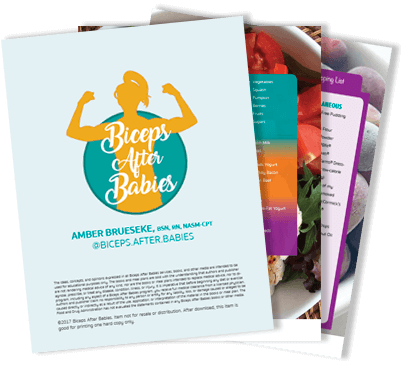 She also provides some tips and tricks on how to distribute your macros throughout the day and how to save some tasty choices for date nights, parties and family gatherings. Cali teaches the listeners how to love the process and keep your results after the program has ended. -Dieting for 6 months prior to the program without seeing results. -Coaching provides the ability to not overthink things. A coach gives you the tools; you just have to focus on the execution. -Saving food choices for specific events. -How to stop focusing on a timeline and instead focusing on lifestyle changes. -How to keep going when the program ends. You have to enjoy the process and stop focusing on the numbers. It’s about making lifestyle shifts that will continue to last.